We’re in the second week of the “fall foliage” season here in Western North Carolina near Asheville, and the best color so far remains at high elevations, including peaks along the Blue Ridge Parkway. 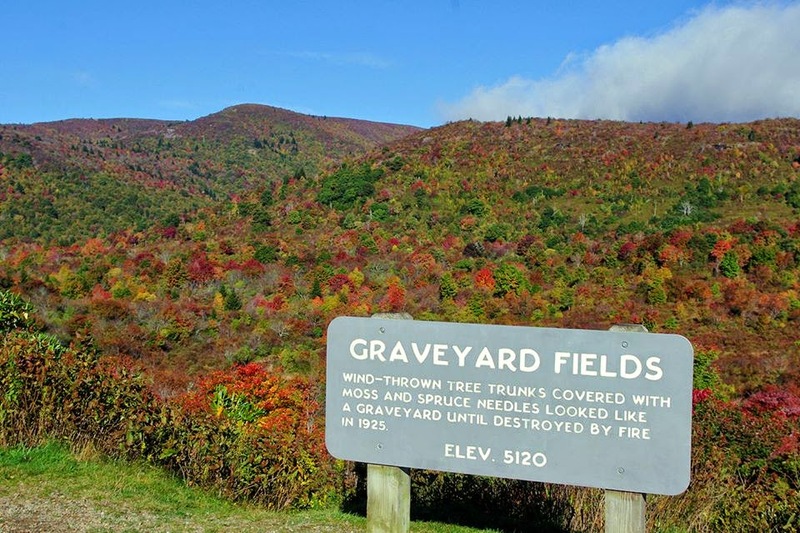 In particular, we recommend checking out Graveyard Fields, a valley that’s more than 5,000 feet above sea level, surrounded by tree-covered mountains. It’s a neat landscape that’s unique to the area. Graveyard Fields is named for tree stumps that dotted the valley after a devastating storm many, many years ago. The tree stumps are no longer there, but the fields are covered in early-changing shrubs, which you can traverse using boardwalks. The trails, which underwent upgrades this year, are pretty awesome at Graveyard Fields, with a waterfall hike included. 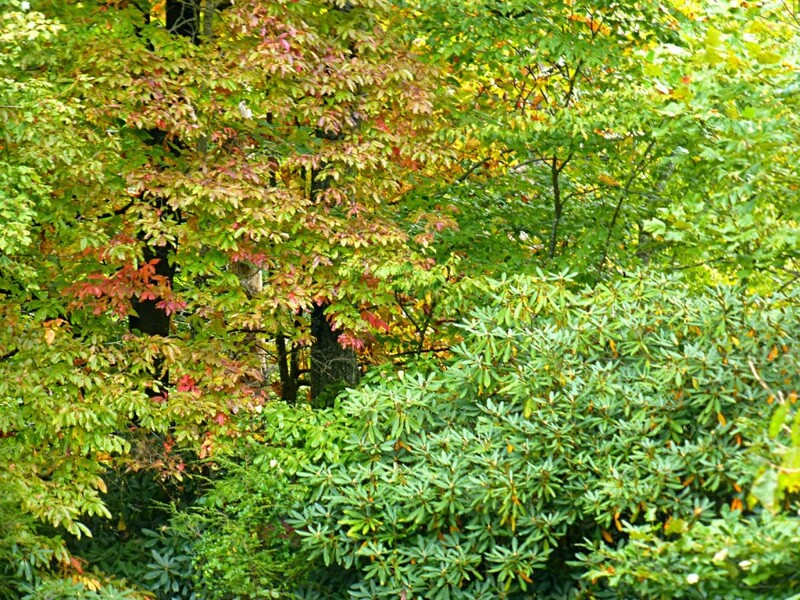 Other locations for viewing early fall color continue to be Mt. Mitchell State Park and Grandfather Mountain, which has the bright red berries of mountain ash trees adding to the fall foliage. Both are located northeast of Asheville along the Blue Ridge Parkway. 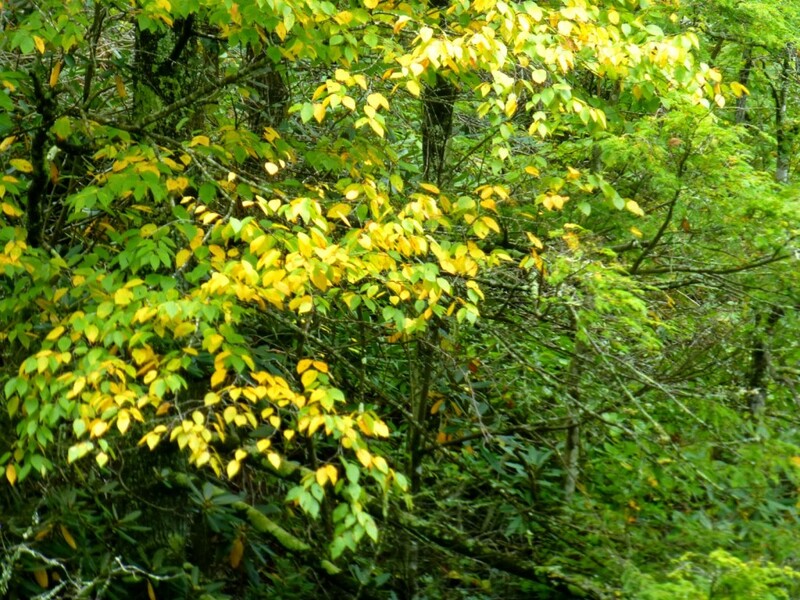 Here at our elevation of 2,300 feet, birch and beech trees are just starting to add gold tones against the green. The tulip poplars are having a tough year once again (for the 4th year in a row) and are mostly muted yellow. 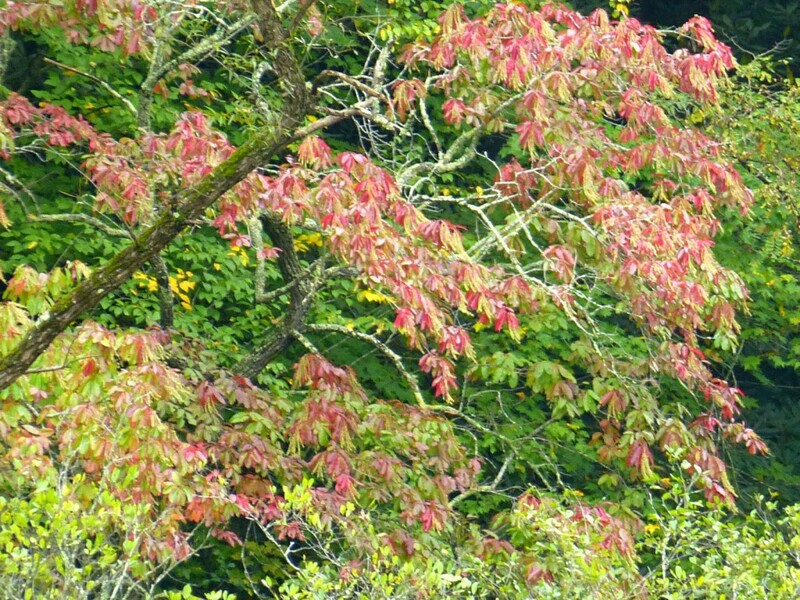 However, the sourwood trees have also started to really turn, and their scarlet leaves are really bold this year! 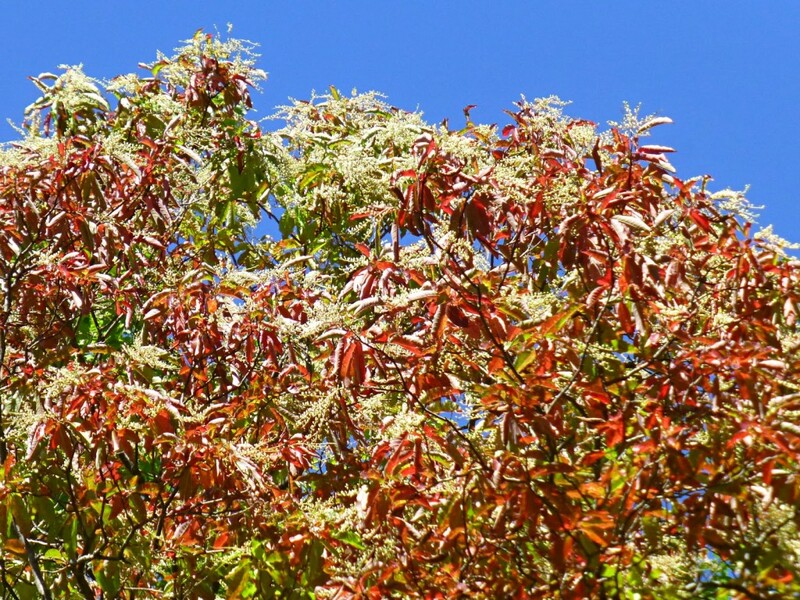 Dogwoods, sweet gums, and sumac are working red into the landscape as we continue to watch for the big changers — the red and sugar maples, sassafras and beech trees — which should begin to show off toward the middle and end of the month. This entry was posted in Uncategorized and tagged Asheville, Autumn / fall foliage, Blue Ridge Parkway by Inn on Mill Creek. Bookmark the permalink.